Simply put, the ultra rapid detox (UROD) procedure eliminates the body's craving for certain highly-addictive drugs such as heroin, methadone, Oxycodone, Codeine, Subutex (Buprenorphine), and other opiates and opioids by literally purging the system (note: UROD does not treat or affect psychological cravings for heroin and other opiate drugs). While under general anesthesia, a patient is administered medications that remove the opiates (narcotics) from the system. This causes immediate and sudden withdrawal. However, since the patient is unconscious, they avoid the anguish of rapid withdrawal ("cold turkey"). Opioid antagonists are then administered, reducing the normal withdrawal period from six or seven or more days to six to eight hours (recovery process may take up to 10 days though). The patient is then maintained in a state where he/she essentially sleeps through the worst of the withdrawal symptoms over several hours. When the patient awakens, he/she will have lost their physical need for heroin (while psychological need for opiates remains). Patients recover not always quickly after ultra rapid opioid detox. Immediately upon waking up patients may feel weak and sleepy, but a few days later appetite and full physical and psychological functionality are recovered. The recovery time period may be prolonged by different factors. How long prior to ultra rapid detox should a patient be admitted to the hospital? To maximize success and ensure safety, the patient is properly screened and hospitalized at least 24 hours before the rapid detoxification procedure commences. The pre-treatment screening includes extensive tests such as EKG, blood levels, kidney and liver function tests, heart rate assessment, lung treatment and stabilization of vitals. Ultra rapid detox is a pharmacological procedure. It is imperative that the patient is admitted to start the 1st stage of detox and starting preparation 24-48 hours prior to the procedure so the doctor can become familiar with each individual patient's reaction to and absorption of medications. Some patients may require several days of inpatient screening and pre-medication before the procedure. Ultimately, the length of the patient's stay is based on his or her medical and dependency history. 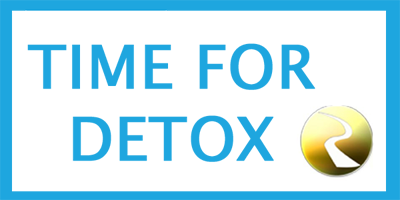 Where should ultra rapid detox take place? Ultra rapid detox (UROD) should only be performed in an intensive care unit of an specialized hospital. Procedures that require anesthesia and intubation should be performed in a safe and well-monitored environment. Every possible precaution must be taken to ensure the patient's safety. Should anything unexpected surface, proper medical resources must be immediately available. Who should perform the ultra rapid detoxification procedure? Due to the fact that most of the risks associated with this procedure are those related to anesthesia, having a Board-Certified Anesthesiologist will greatly benefit the outcome and reduce the risk of the procedure. When is the patient discharged? The minimum stay after the detoxification procedure is 72 hours, but often may take 7 days. What type of After-Care should the patient receive following ultra rapid detox? It would not be fair, or even beneficial in most cases, to make a concrete plan for After-Care when the patient is under the influence of opiates. Opiates can mask numerous psychological or psychiatric symptoms that usually surface after the procedure, requiring alternative methods of After-Care. An important component of after care program is Naltrexone maintenance. Our experience proves that Naltrexone implant/blocker/pellet or Naltrexone injection are the best options to help individuals stay clean. Another issue is customizing the After-Care to fit each individual's needs and lifestyle. The patient will adhere to options that will be both beneficial and comfortable for them. In some cases, allowing the patient to maintain a productive lifestyle without any interruptions will greatly benefit the outcome, and will give the patient an opportunity to go through detoxification without any additional interference in his or her life.